The 2015 report evaluates 19 vendors for their Ability to Execute as well as their Completeness of Vision. This year, Sitecore® leapt vertically to the top position for its Ability to Execute among the vendors evaluated and has been in the Leaders quadrant for six consecutive years. 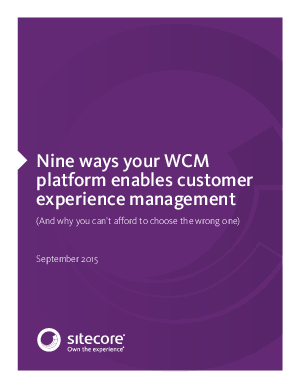 Learn more by downloading your copy of the 2015 Gartner Magic Quadrant for WCM now.